Summer is here and I am ready! As a family of educators we endure the crazy schedule during school year knowing that summer is coming. It is amazing how much one can accomplish when there are no papers to grade, concerts to plan/conduct, and of course all the parenting things that go along with having kids in school too! I already have one of my summer projects done with all this “extra” time I have now…cleaning and reorganizing the pantry! I am happy to be enjoying preparing family dinner again now that I have more time. I love sitting around the table with my family (it is one of the reasons I have this blog!) but honestly as the school year progressed, I dreaded making dinner. I was becoming the queen of “throw down dinners”. You know, the ones you buy in the freezer section and throw into a skillet and about 10 minutes later, dinner is served! We actually enjoyed many of these dinners. The prep and clean-up were easy enough to where I didn’t have to spend an hour or more in the kitchen after teaching all day. Add to the heated oil the diced onion and minced garlic and cook over medium-low heat until softened and transparent. Stir the spinach gently into the sauce until it has wilted. Add the pasta and stir until it is well coated in the sauce. Add salt and pepper to taste. Serve warm. I served it with a fruit salad and we all loved it. It took me about 30 minutes to make the dish and was easy to clean up after dinner. I’m looking forward to many relaxing and enjoyable dinners this summer! Summer…nothing better than the lazy days of summer on an educator’s schedule. We have had a great summer of just relaxing and enjoying each other. It has been a few years since we have been able to do that with the house on the market back in 2013 and then our move last summer from PA to TX. Add to that a full year of working crazy long hours as teachers with our schedules being set by others and you can imagine how we have taken great pleasure in having a very loose schedule and hardly any “hours” to keep during the summer of 2015. Summer has also allowed me to be in the kitchen again and try some new recipes. Those that know us, know that the girls and I make frequent trips to the library in the summer. Recently I picked up some cook books. This recipe is from The Make-Ahead Cook. One could prep it in advance and then store it up to 2 days…but I made it for my family to each for lunch today! Cook until the asparagus is crisp-tender, about 2 minutes or so. While the asparagus boils, prepare a large bowl halfway with ice and water. Once the asparagus is crisp-tender, remove it with a slotted spoon- transferring it to the ice water and let it cool for about 2 minutes. Reserve 1/4 cup cooking water- in case you need it later. Drain tortellini and rinse it with cold water and drain it again. You want to leave the tortellini slightly wet. Cover the extra dressing if you are saving it for later. Cover the tortellini if you are saving it for later. Refrigerate the asparagus, tortellini mixture and dressing separately for up to 2 days. When ready to serve it get the items out and let them sit at room temperature for 15 minutes. You can stir in some boiling water to the tortellini to loosen it up and whisk the dressing to recombine it. Tortellini and Ground Beef…who knew? We tried a new recipe at our house this week and it was a winner. It has the two characteristics of a recipe that I love: fast and easy! 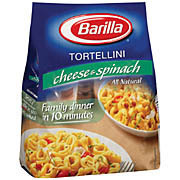 Then it has two more loves for us…tortellini AND ground beef, I never would have thought to put them together. 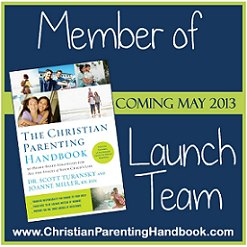 Our life here in the Smith house has been going a little fast too….not so much easy but not too difficult. I have had many thoughts of blog entries to write and share with you, but things just are moving too fast to sit down and write at this point. Meals at our house have not been to creative either as my schedule has been very full. But I did finally try something new this week and since everyone liked it at our table, I thought I would share it with you. Sprinkle 1 1/2 cups of Italian cheese of your choice over the top and serve! Yum! This one was fairly quick to throw together and each of my family members enjoyed it….ding! ding! ding! Another winner!!!! Now, it says “grilled chicken”. Yes, you can actually turn on the grill and grill it OR you can dump it out of a freezer bag and warm it up in the microwave! I love having a bag of Tyson’s grilled chicken in the freezer for quick quesadillas or even just as an entree for the girls on a night when I’m headed out for dinner. So tonight as the storms rolled in once again near dinner time, I opted to not send anyone out to grill but to use the freezer bag of grilled goodness. Cook 8 minutes or until sauce thickens, stirring frequently. 1 cup Parmesan cheese, shredded. This would be a good one to do the day after grilling chicken for a meal. Simply grill 2 pounds more and cut it up and set it aside for this dish to make the next night. Even though we have absolutely no Irish blood in our family…it is fun to celebrate St. Patrick’s Day! Today for lunch we had a green lunch. I found a recipe on the wonderful recipe blog of “Two Peas & Their Pod” called Creamy Avocado Pasta. It looked easy to throw together so I planned to make that once we got home from church. It was good but a tad dry, so when I make it again I will add some olive oil to the avocado sauce prior to mixing it with the spaghetti. Then we had kiwis, green grapes, broccoli and a green salad. I wanted to make some green kool-aid but there were some problems: no green kool-aid in the house and no more than 2 Tablespoons of sugar left in the sugar canister. So we opted for green milk—-yellow and blue makes green! After lunch I made a creamy avocado dip that we are enjoying this afternoon. But I can’t wait until later tonight when we take another tip from Two Peas & Their Pod and make some chocolate mint shakes. 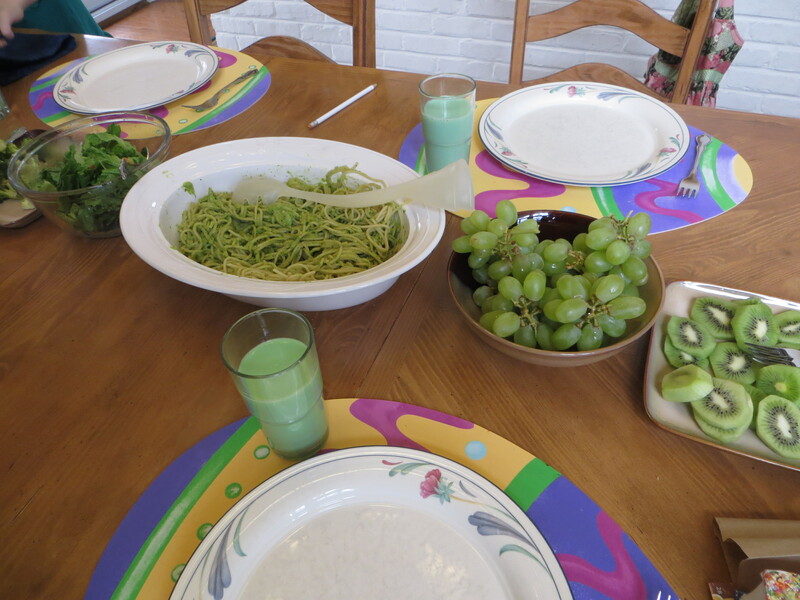 This green lunch didn’t take too much time nor too much planning but my girls loved it and thought it was fun. 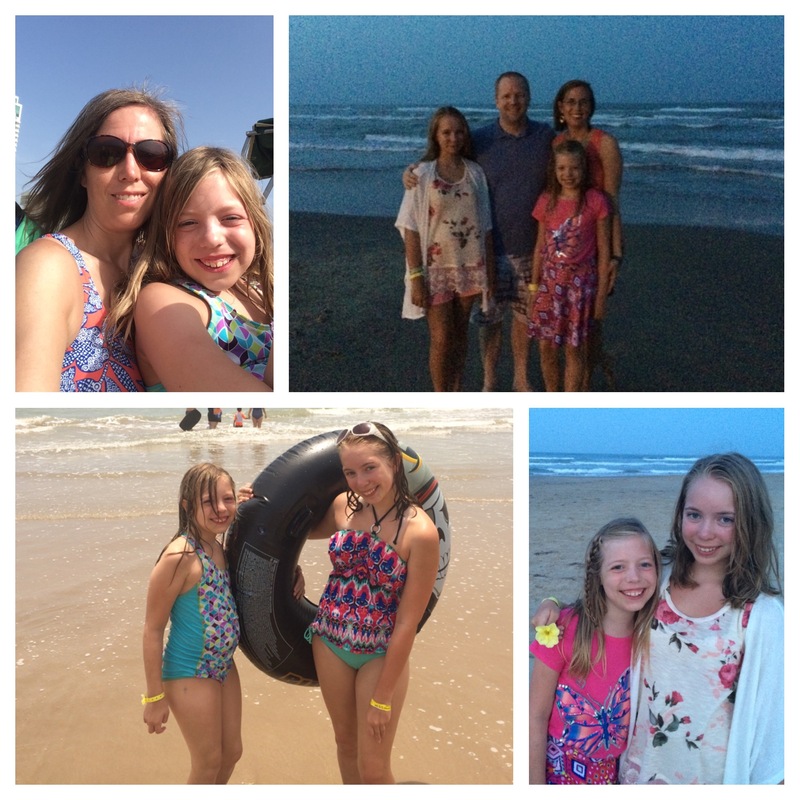 Making Memories!!! That is the name my girls gave to the dish I created tonight…..yes….I actually made something without any recipe—miracles DO still happen. I am not one that likes to go-it-alone in the kitchen without a recipe because I HATE to mess up and I HATE to waste food (and messed up food is a waste!). But tonight I was stuck. Thursday nights are often quesadillas or burritos for us (Dad isn’t home for dinner). Both of those options require tortillas and I was low on tortillas. The other Thursday night option is often pancakes and I just wasn’t in the mood. So I hit the freezer. 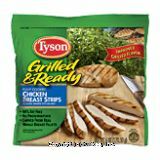 There I found some of my favorite grilled chicken strips from Tyson’s. But what could I do with them? 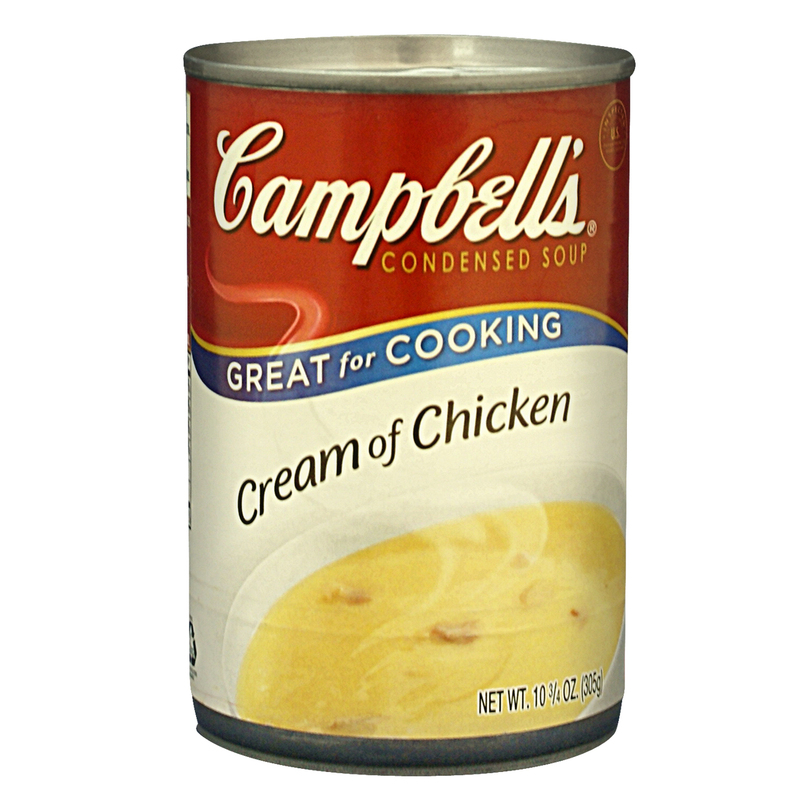 Good ole “Cream of” to the rescue….I could mix that in with some milk to thin it out. 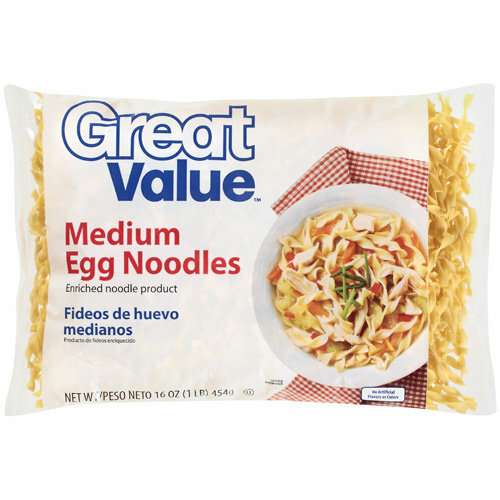 Boil water to prepare 3 cups of medium egg noodles. milk…probably 1/4 cup???? The purpose was to thin out the soup- I didn’t measure as I dumped the soup in a 2 cup measuring cup and then poured milk over it until the milk was even with the dumped out soup. By this time your noodles should be done. Drain the noodles and add to the chicken and soup mixture. Then I seasoned with salt and pepper. I also had some spices from Christmas from my MIL. I sprinkled the Pasta Sprinkle from Penzeys Spices over everything. Basically this is just basil, oregano, garlic and tyme in a jar! Both of my girls ate it right up and I loved that we had a warm meal quickly after a busy afternoon.